Recently I read an article from themighty.com. It was a wonderful article that I wish I’d read many years ago. It talked about an aspect of Obsessive-compulsive disorder that is not often thought about when one thinks of OCD. Obsessive-compulsive disorder to many people is someone who cleans incessantly or washes their hands one too many times. It is much more than that. My OCD started when I was a child. I went undiagnosed for many years. I knew I struggled with a variety of things but this was my “normal.” One thing that plagued my early years was persistent worrying. I worried every time it stormed that there would be a tornado and my family would die. I worried that something would happen to my parents and I would be all alone. I worried that if I talked to someone I would be rejected. Sure, everyone worries about things like this every now and then but I was very young. One experience that comes to mind that really triggered my OCD was my dad choking when I was about 7 years old. I remember it very vividly. The panic and the horror were embedded into my memory. My dad recovered but I didn’t. I made rules for myself when it came to eating. I decided that I couldn’t eat hard things, or any food I’d read in my parents Reader’s Digest magazine that was considered a “top” choking food. (carrots, nuts, hot dogs, etc). As a child it was easy to get away with not eating very much. I felt like if I could stick to a list of “safe foods,” then I could prevent choking. As time went on this need to prevent choking intensified. I had a larger list of foods I “couldn’t eat.” The foods I did eat were chewed a million times. I chewed my food until it was a liquid and then I swished it between my teeth to make sure there were no large parts that would choke me. This caused me to eat very slowly. I was embarrassed at how I ate and would often fill my mouth with food and then excuse myself to go to the bathroom and spit it in the toilet. Eventually, being made fun of by my peers at the lunch table wasn’t worth it and I would just have water or juice for lunch. Looking back on my childhood I can recall many moments that showed aspects of a slowly intensifying mental illness. A family member passed away in a car accident and I thought it was my fault. I thought that somehow I’d willed it so. Though this was impossible, I confessed it to my mother like I was in a court room. I sobbed and told her it was me…I did it. She assured me I didn’t, but the guilt still felt so real. My mom recorded in my baby book that I refused to sit with Santa at 4 years old because “he wasn’t wearing his gloves.” I can only imagine it was because of my OCD. My OCD has taken on many forms over the years, each one unique and debilitating. It had become so much of my life that I didn’t even realize it was the culprit of so much of my anguish. I didn’t even consider it. I saw multiple psychiatrists and therapists whose diagnoses varied from bipolar disorder to depression to panic disorder, etc. None of them mentioned the possibility of obsessive-compulsive disorder. However, in college I realized that I felt a lot of anxiety if the gas pump didn’t stop on a number divisible by 5. I felt a lot of anxiety if I didn’t complete a thought before the stop light turned green. I replayed images in my head over and over and over again because I couldn’t stop them. I checked and rechecked everything. I started to become obsessed with everything medical. I decided my lymph nodes were too large and measured them multiple times a day. I would ask friends to feel them and measure them for me. I took my temperature hundreds of times a day and I would google symptoms for various illnesses because I had to. If I didn’t, I would get the illness and it would be my fault. My obsessive-compulsive disorder turned my life into a mere existence, rather than actual living. I spent multiple hours a day checking, rechecking, obsessing, thinking, preventing, acting on my compulsions. Sometimes, it became too much and I would break. Thankfully, I’ve had the support of an amazing therapist, psychiatrist, family and husband. I am on medication and I am living my life. I still struggle sometimes, but I am happy. One reason I decided to write about my struggles with obsessive compulsive disorder is because of the article I referenced above. For one, the article makes me feel less alone in the world. I feel stronger having read it. I feel like someone that is not a horrible person but someone who is afflicted with a mental illness. I have a disability. I have OCD. I can admit it and I can deal with it and I can live with it. Secondly, I referenced the article because there were many comments on the piece stating that they didn’t understand why people will mental illnesses continued to reproduce. Some felt that it just made sense to stop having children if you were just going to pass these debilitating issues on to your kids. I read the comments and suddenly I was flooded with all of this guilt that I’d been working on for the past 4 years. You see, I’m a mother of 2. I have two perfect children that are my everything. My children are a true blessing. I know most mothers feel this way about their kids, but I consider myself to be especially lucky. I’m lucky that there was plan bigger than myself for my life. After I got married, I wrote in red lipstick on my mirror, “Don’t have children. They will be like you. Don’t be selfish.” Shortly after I wrote these words… I was pregnant. I cried and I feared having a child that had to live like I’d lived but he was coming regardless. I had my son and he is now 4. Unfortunately, he is showing signs of obsessive-compulsive disorder. Fortunately, I get to be his mother and he is my son. I’ve been able to recognize his issues and tackle them early on. He is in play therapy, he receives special services, he is encouraged, adored, advocated for and loved immensely. He is happy. I’ve been told over and over again by everyone that meets him how genuinely happy of a kid he is. These words comfort me more than anyone knows. If my boy is happy, then we are doing something right. And the really amazing thing is that helping him isn’t a one way street. He has helped me just as much. I’ve exposed myself to many of my own fears so that I could appear strong for my son and alleviate his worry. In many of these situations, I’ve gotten over my own issues. He has helped me in major ways and he is only 4! Having a child when you have a mental illness is not selfish. If I neglected him, refused to acknowledge his issues or my own because I didn’t want to deal with them or admit they were there…that would be selfish. I choose to help him, advocate for him, work hard for him, guide him, talk with him, get him services, laugh with him and love him forever. I choose to continue to help myself and show myself some compassion. Obsessive compulsive disorder is a disability but it doesn’t have to define my life. I can be a good mother with OCD and I can have a happy child with OCD. We will get through it together. Today’s tip is about mental health, again. (Is anyone noticing a trend? lol) Things have been hard, I haven’t been shy about admitting that… and I haven’t even tried to hide how hard they’ve actually been. If I didn’t have kids I would no doubt be in my bed, under the covers until my stomach growling forces me to wake up… where I would no doubt drink something rather than eat to calm my stomach and spend the rest of my day zoning out in front of the TV or Internet. 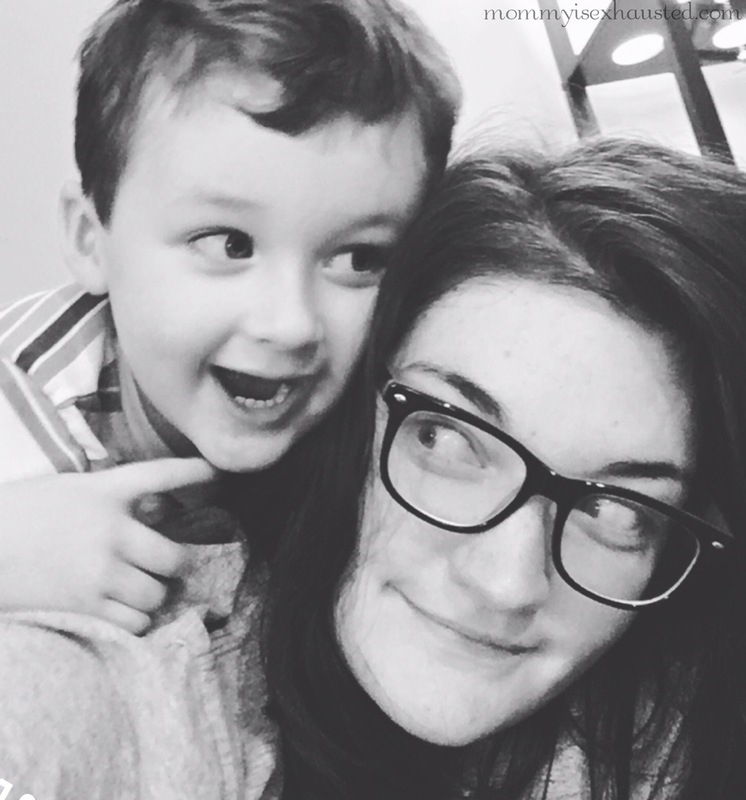 BUT… I am a mom– and as HARD as it is to push that natural inclination away, get up when the kids get up and get out of bed… that is what I have to do. That is what I WANT to do… its just hard to get there. Its easy to move one foot in front of the other but its really hard to keep going sometimes. I get stuck in my head and it is hard to be present for them. As hard as it is, I keep doing it each day and I’m thankful for my littles because they give me that motivation that I need. Doing it for them..helps me too. Kids don’t sit still. They don’t wait for you to feel like doing anything…they very much operate on their own timeline. So… I wake up and make them breakfast, change diapers, get them dressed, and try desperately to figure out SOMETHING for us to do that day. Whether its read a few books for circle time, drive around while on a Starbucks run, go to the park, or meet up with a friend– doing something is important. 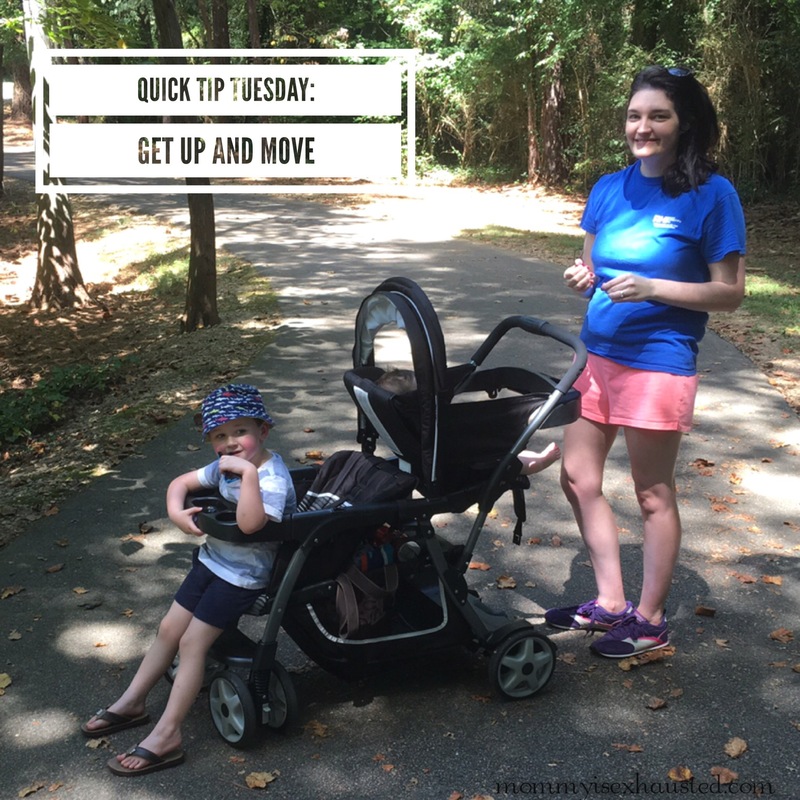 So my quick tip today is, in a way, faking it until you make it. When you can’t find it inside of yourself to keep on going for you… you can do it for your kids. I’ve said it before, children are such beautiful, bright blessings. When I get up and do things for my kids, I get more energy to do things for myself, our home, my husband. When making my daughter’s breakfast I can tidy up in the kitchen for a few minutes, I can take a walk around the neighborhood because my kids need to get out. As a result, I am walking and exerting energy. I’m getting some stress out and moving forward, physically and mentally. When you can’t carry on, do it anyway. The fact is, we all can give just a little bit more. Sometimes you need your sweet, innocent babies to show you that you do have it in you. They have absolutely no idea how much they’ve changed my life for the better. I struggle. I’m not perfect and am not even close… but I’m just a little better because they are my babies. I’m thankful that they are wild, energetic, healthy children. I have to keep up the energy to keep up with them… and even in the darkest times, I’m always happy to do it. Have you been dealing with a lot of anxiety lately? I have. Truthfully, I’ve been dealing with anxiety and obsessive compulsive disorder since I was a young child. I didn’t always know that was what I was dealing with, but it has become obvious in the past few years that I’ve been dealing with mental health issues for a long time. I mean, how many 4 year olds do you know that refuse to sit in Santa’s lap because he wasn’t wearing his gloves? Yep. That was me. I was that 4 year old. Even at 4, the obsessive compulsive disorder was there and it was gearing up for a long ride. I am 31 and still suffer with crippling anxiety and OCD. However, because I am 31 and have been working on it since I was 18 years old… I’ve developed quite a few strategies for making it. And yes, I said making it… because for a while you just have to make it. Once you start making it… you work toward other goals like living a happy and fulfilling life. Goals we’re all working at! Medication. This one may get me a lot of backlash and that is fine. I have tried over and over and over again to tackle my issues without medication. I’ve told myself I didn’t need it. I’ve told myself that I’m better off without it. The truth is, I can’t really function. I am a miserable wife and mother. I am an obsessive ball of crazy that can’t see past my own eyeballs. I only see everything inside of my head. I’m not present. I’m not well. I started seeing a psychiatrist (which is important, I have issues with general practitioners prescribing these and then not adequately following up) and started Prozac several years ago and the change it has made in my life is unbelievable. I am more level, I have fewer obsessive and anxious spells and am able to see more clearly. When I miss doses and really get off track, it is obvious. This drug has helped me and I am thankful for it. I think medication can be really helpful, especially with therapy. Self-Help Reading. Mental health is something you need to work at like a subject in school. For some people, they just “get it.” They don’t have to work at it as much as some of us… but for me, mental health is like math. I’m always having to really work at it to try to figure it out. Thankfully there are excellent resources out there that really help. I recommend the following books: Self Esteem: How to Heal Addictive Thinking, Feeling Good, Full Catastrophe Living. These books have helped me in the hardest of times. I’ve read and re-read them and they are amazing resources. Very beneficial. Mindfulness Meditation. Meditation may feel silly at first but the results speak for themselves. I’ve had random meditation apps on my phone that didn’t do much for me, but then my therapist recommended the Insight Timer app. This app really changed the way I viewed meditation. I could feel the changes in my body. I remember the first time I really got lost in the meditation. I suddenly had this awareness of every move– Every small move in my body. I was so calm and in tune with myself. Studies have even shown that meditation changes the brain after a period of weeks. Seriously! Really about it here. Support System. Finding a support system is very important in treating debilitating anxiety and other issues. Explaining your feelings and thoughts to a trusted individual whether it be a spouse, friend, parent, etc. is very important. They may not fully “get it” but they will know that it is something you’re working on. Let them know how to help you. It isn’t always easy or fun, but it is necessary. My husband has learned so much about my issues and can even tell when they’re coming on. He knows how to help me and reminds me to take my medication. You don’t have to set any huge goals at first. You don’t have to fault yourself or tell yourself you have to be cured immediately, just do what you can to get through each day and then each day will become easier. You will get through this and things will start to fall into place. But to get to where you want to be in life, you must help yourself first! Wow, what a week. What a month… What a year. What a …2 years. This is a rough… rough time in our lives. Is it okay if I put it all out there? 2016 was extremely difficult for us. I couldn’t wait for the new year. I hoped and prayed that the new year would bring with it a rebirth of sorts. I needed everything negative to be behind me… I needed to move on. 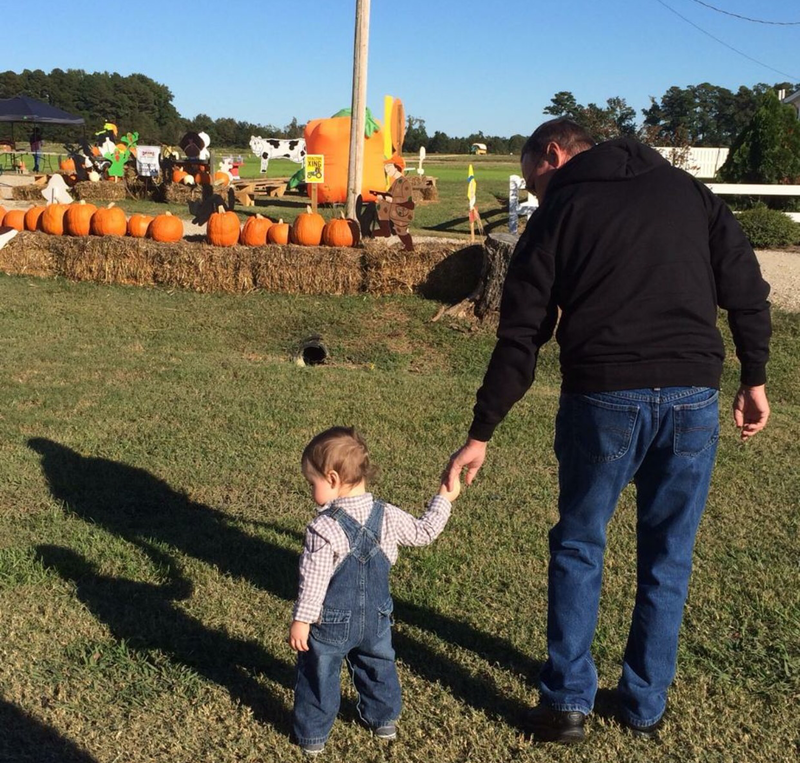 My son started 2016 with lots of illnesses he got from preschool (fun!) and I was a stress case the entire time. Then in March I had my beautiful daughter. She is absolutely the most beautiful, wonderful thing to come out of 2016. She was a healthy 8 lb 10 oz. I was in love. 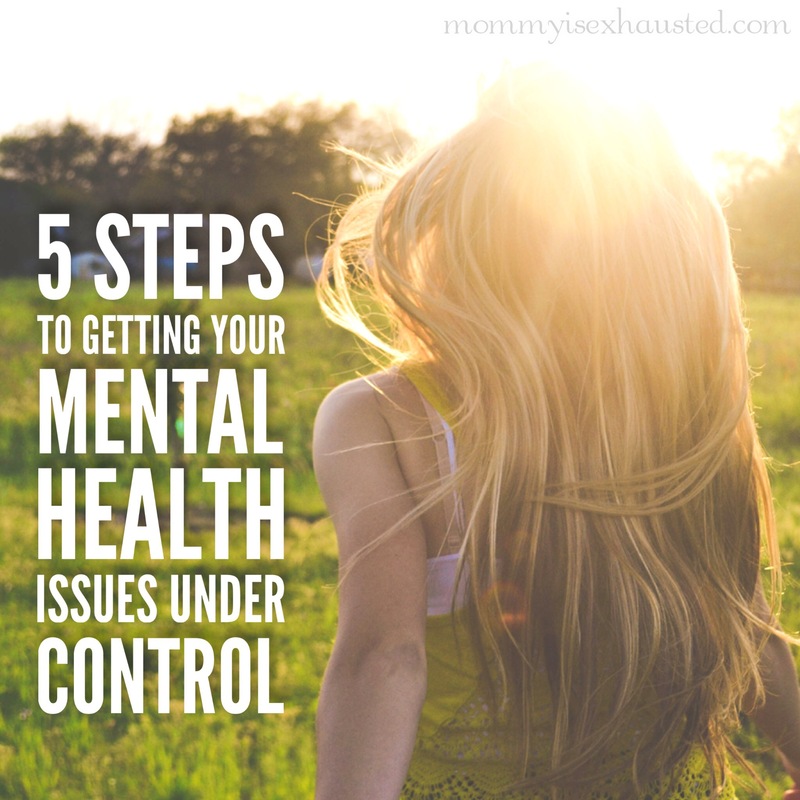 Then, the postpartum depression and anxiety really escalated and became unmanageable. I’d never felt so unlike myself. I had this beautiful angel of a baby and I couldn’t enjoy her because of a million different irrational fears. I was out of my mind. The stress hurt. I found my therapist and went back to my psychiatrist and I got medication to get things under control. 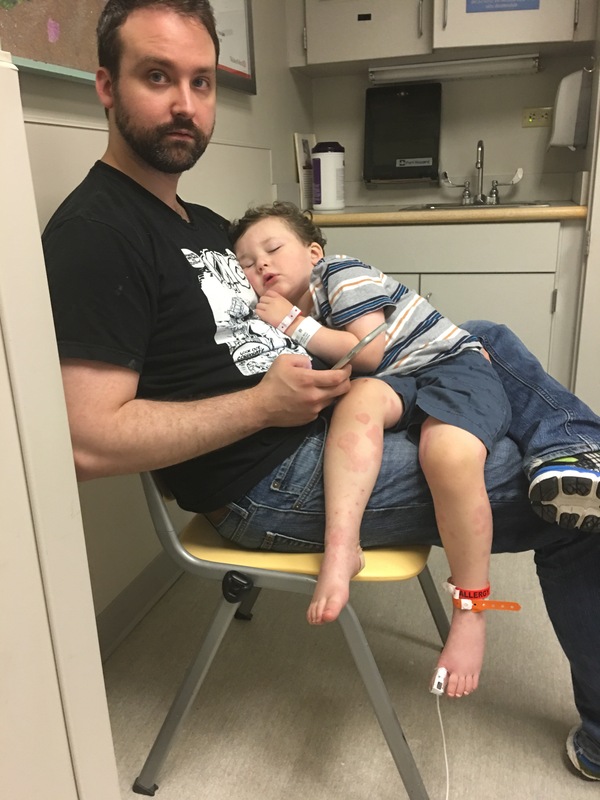 Fast forward to May and my son had a reaction to penicillin and had to go to the emergency room via ambulance with a very high fever. He developed erythema multiforme. His rash looked worse than any google images out there. I was terrified. I thought I would fall apart. However, he recovered and things carried on as usual. In July, my daughter had two bouts of intense vomiting after eating baby cereal. The second time we were at my parents for the 4th of July holiday and my daughter woke up 2 hours after ingesting the oatmeal screaming. She screamed and screamed until she got a bottle, which she promptly vomited all over her aunt. She then became very lethargic and floppy. 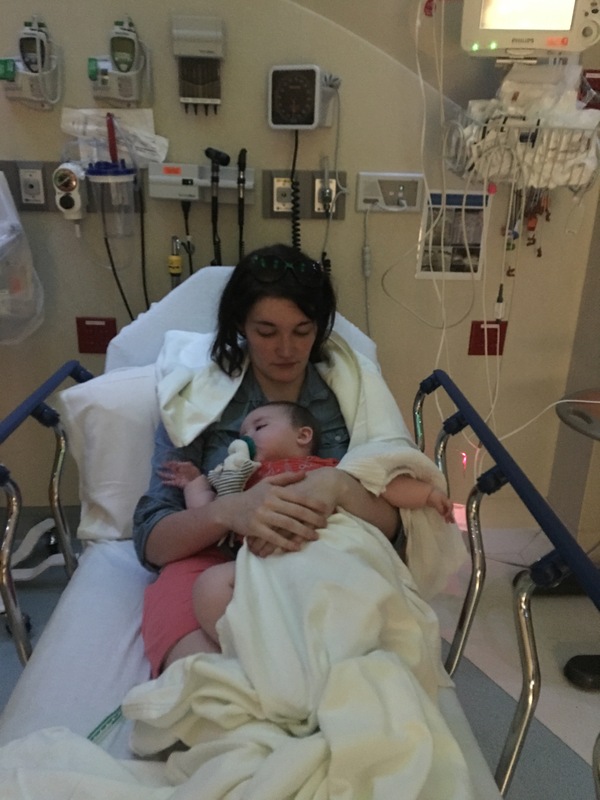 I called 911 and my 4 month old was carried via ambulance to the emergency room. After hours of tests, failed IVs and blood draws… we were sent home. I consulted her pediatrician that reassured me it was probably just a sensitivity and told me to avoid oats. I knew it my heart it was more. I took her to a pediatric gastroenterologist and then a pediatric allergist. We found out our sweet girl had FPIES. I cried my eyes out in the allergist’s office. I wondered if it was my fault. Maybe it was all the cookies I ate when I was pregnant. Maybe it was not being able to breastfeed. 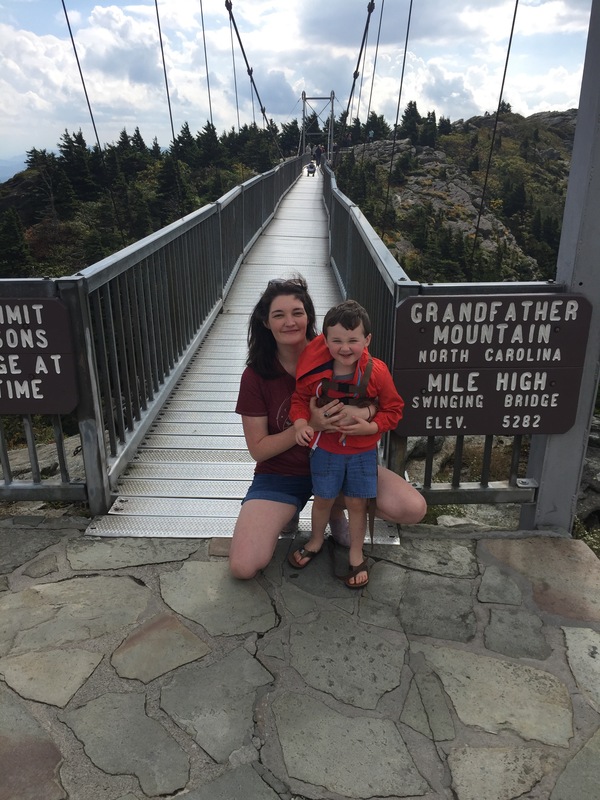 Why had I been so selfish to have postpartum anxiety and DMER. ? I told myself that I should have fought harder to break through the mental anguish. I should have eaten better. I should have been better for her. The doctor assured me over and over again that this was not my fault. I would tell myself for a long time that it was. 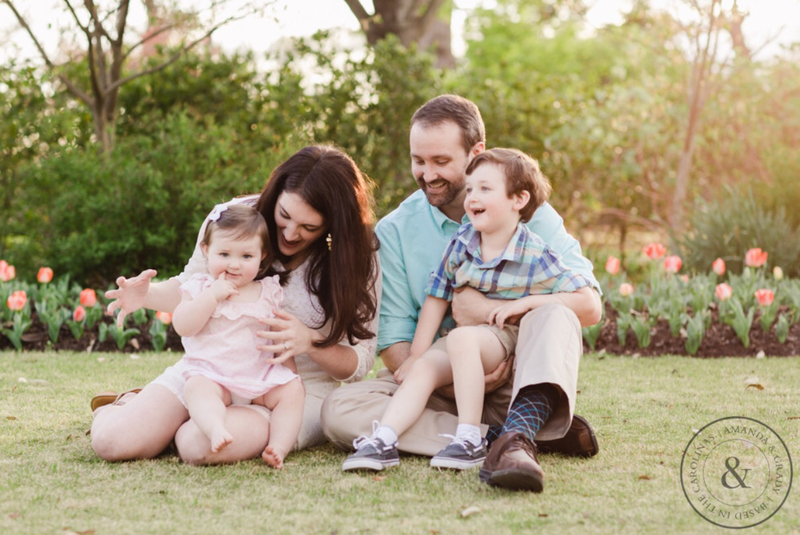 After this experience we went about our lives as normal and made the decision to hold off on solids for my daughter for a few months. In those few months we were preparing for my son to start his second year of preschool. I was nervous that he would get so sick again, but I knew I couldn’t keep him in a bubble forever! 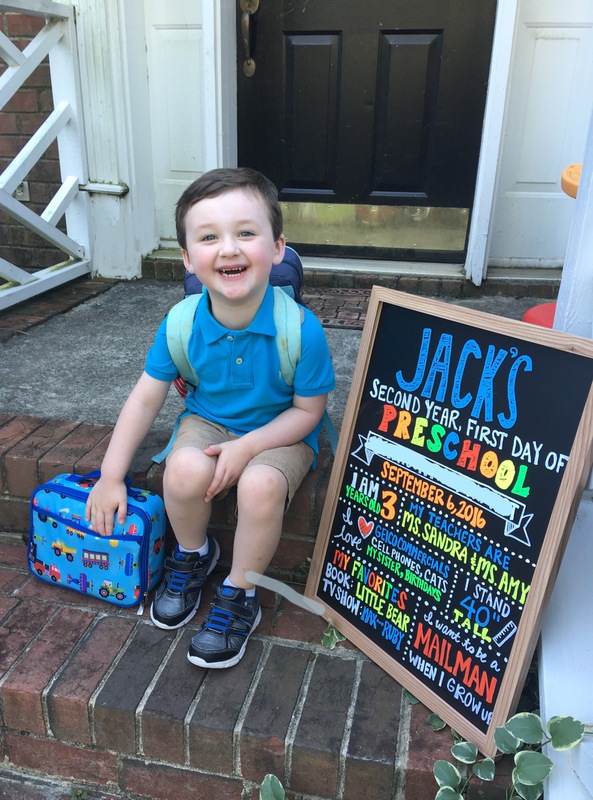 So… In September he started his second year of preschool. By the end of his first week his teacher came to me with concerns. This part of the story is probably going to be the absolute hardest to write– but I’ll try. Long story short, she had concerns that Jack was developmentally delayed. (I had concerns that she was an idiot — but that had nothing to do with Jack. That is a whole other story. ) So… we were referred to a service provided through the local school system to have an evaluation for our son. We took my son to an office downtown and he sat with a clinical psychologist for a while… and I thought he did a great job. Of course, the evaluation showed that he needed an assessment. The assessment determined that he had a developmental delay. I am pretty sure that, had I consented, he would have been diagnosed with autism right there. I did not consent though… for reasons that I will get to in another post. In fact, for more detailed information about all of this feel free to visit my previous blog, The Glimmer. The months that followed were incredibly difficult. My husband and I spent many nights in bed crying… wondering, researching, asking ourselves how this was possible… etc. I felt like the ultimate failure of a mother. Was this my fault? Is it because I ate poorly, allowed him to have junk food every now and then, let him play on the ipad? I couldn’t stop with the questions. Every therapy session was devoted to this. Through the mental turmoil, Jack was acting out at school. He was being punished, yelled at, ganged up on and treated awfully by his teacher and the other people at the school. I had panic attacks after dropping him off in the mornings. Finally, we made the decision to withdraw him from that toxic place. My beautiful baby had been treated so badly by ignorant, awful people and I didn’t realize it because they were the ones telling me he was a bad child with all of his problems. Everyone was telling me something was “wrong” with my child. Nothing is wrong with my child. Nothing. He is exactly the way God made him. He is beautiful, bright, hilarious, brilliant and perfect. He loves phones… a lot. He flaps his hands when he is excited. He jumps up and down … a lot. His best friend is his sister. He adores her. He strikes up random conversations with strangers on the street– shakes their hands and says, “hello, how are you?” –He cannot talk to a child. He can’t say hello to them or acknowledge their presence. I don’t know why…and he can’t tell me. These are facts… and these are things we’re figuring out as the days go by. These are the things that go around and around in my head on a loop. I lost many months of seeing all of the wonderful in my son and instead focused on the things that supported the fact that “something was wrong with him.” I will never forgive myself for that… or the people that were persistent in telling me that something was “wrong” with him. Even if there is a delay, or there is autism… or whatever the hell is going on… nothing is wrong with him. Everything is right. He is my love. As my husband and I dealt with this new reality… we started the new year with putting Jack in a new school and all was well. His new school was amazing! His teachers were perfect. God sent them straight to us. I prayed about it, I asked for an answer and God delivered. His teachers truly loved him. They appreciated the beautiful person that he is. He never got in trouble one day at school. He started making art again. He had progress with students in the classroom. It was a true blessing. He started working with an itinerant teacher and she was so supportive and helped him immensely. He started play therapy and he loves it! I am so grateful for these resources. We stopped focusing on what was “wrong” with Jack and helped him with anything he struggled with. He has overcome SO many fears this year and grown so much. We are so proud of him. 2017 was looking up and then my husband’s father got sick. He had complications with diabetes and was in the hospital in March. He recovered but had to have his leg amputated. Fortunately we got to spend a lot of time with him in the past few months. Our family went most weekends to help out and visit with him. We were very grateful and he pulled through everything and got better. Then, on May 15 we got a devastating call. He was very sick again and in the ICU. We rushed to the hospital and seeing him like that was so painful. I immediately felt regret for every argument we’d ever gotten in (we had a few misunderstandings… we’re both stubborn and hard headed haha). The next few weeks were a true rollercoaster. There were moments of hope and then moments of being let down. It was like this over and over. Finally, on June 2 he left us and we have missed him every moment since. 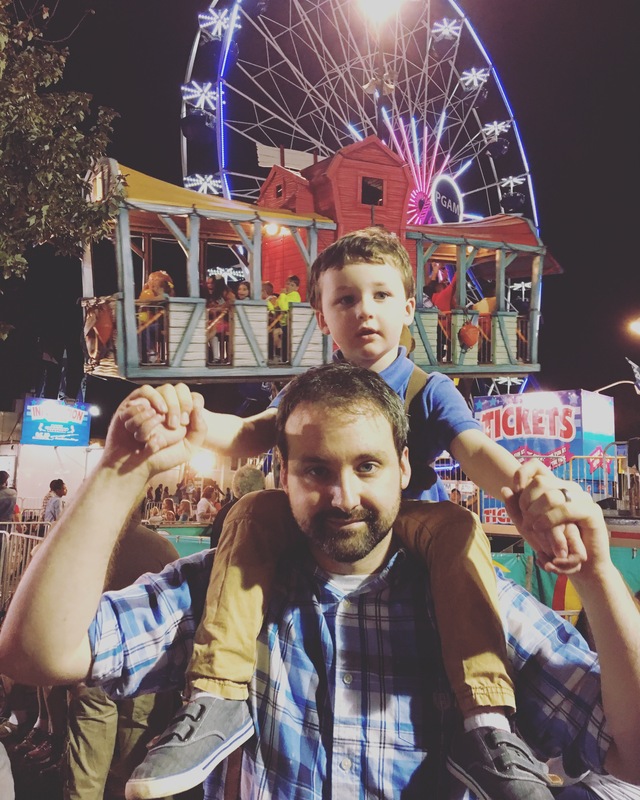 One thing you should know about my father-in-law is that he helped me get a transcription job at his company– this was amazing for having kids. I could keep the kids and work from home. This saved on daycare. Though it was extremely stressful and hard to deal with at times… it was essential for us financially. There were moments during this job that I struggled with working home alone. I hate being alone. It is torture for me to be alone. I can’t focus, I start to fear things… I struggle. This affected my work several times over the years but I persisted. I’d recently grown to appreciate the work nights after the kids were in bed. I could zone out and think of something other than how hard things had been. Well, the company my father in law and I worked for is full of drama. No need to get into any of it here…but the people are less than kind and it has been difficult to be employed there. However, when I was let go via email this past Thursday I was upset. We have two kids. Both with “special needs.” Formula is expensive. Therapy is expensive. Appointments are expensive. Everything… is expensive. Though, I didn’t make much money the money I made was essential. So… here we are. Still grieving the loss of my father in law and then let go by the company he devoted many years of his life to in the same week as his memorial service. It adds insult to injury is the expression I think. I’ve been there for 6 years… and now I am here… trying to figure out what I want to do when I grow up… and I’m scared. I’m lost… and I’m scared. I’m stressed out. These are the biggest events in the past 2 years and I feel… a little beaten down by them. To put it mildly. 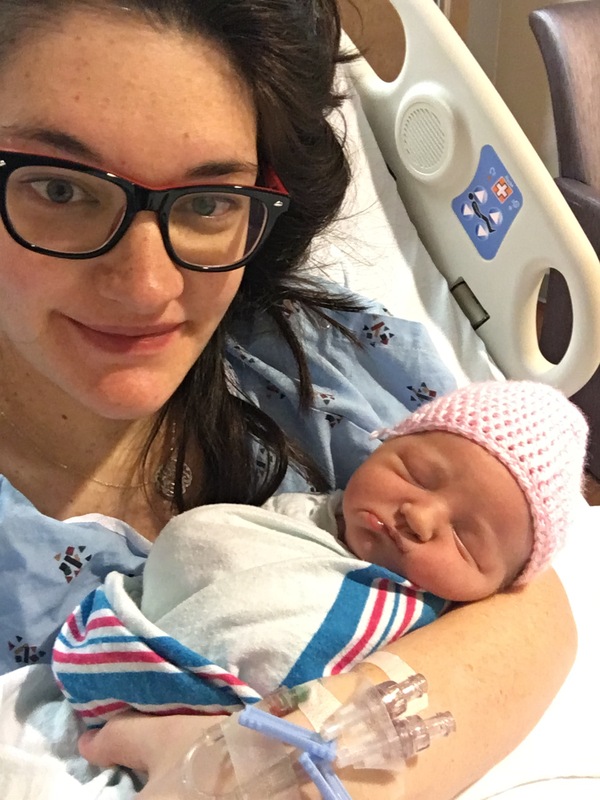 –Having Claire with no epidural. I felt strong and amazing. I had a goal and I did it. –Trusting my mama gut so many times and being right. –Getting over my own fears because I needed to be strong for Jack. We have gotten over fears together. –The love shared in difficult situations. There are no better hugs than the hugs from my husband when he knows I need one. He holds me like he’ll never let me go. These hugs keep me going. They help me breathe. –Friends. Oh God, how would I have made it this year without my friends? They text everyday, they send cards, come to birthday parties, have a drink, make me laugh, come to my rescue, watch my kids, etc etc. –Family. My parents have really stepped in and helped me immensely in the past few years. My in-laws have helped us. We would NOT be okay without this help. Our families are true blessings. –Tickle fights. I’ve noticed that in the past few months, all four of us have gotten in the floor several times and laughed for so long it hurts. These moments are so special. Our phones are away, the TV is off… and we’re just enjoying each other. It is euphoric. It is pure joy shared among 4 people that love each other so much. I thank God every single time for these moments. They are amazing. We’re going to get through all of these things… and we’re going to do it together. I’m going to be okay. I’m going to try… and fight… and grow and change and learn. I’m going to pray that things start looking up. Lately, I’ve been focusing on the negative because it seems there has been nothing but negative… but I need to change my outlook. Prayers are appreciated. Have any of you gone through a difficult season in life? How did you cope?